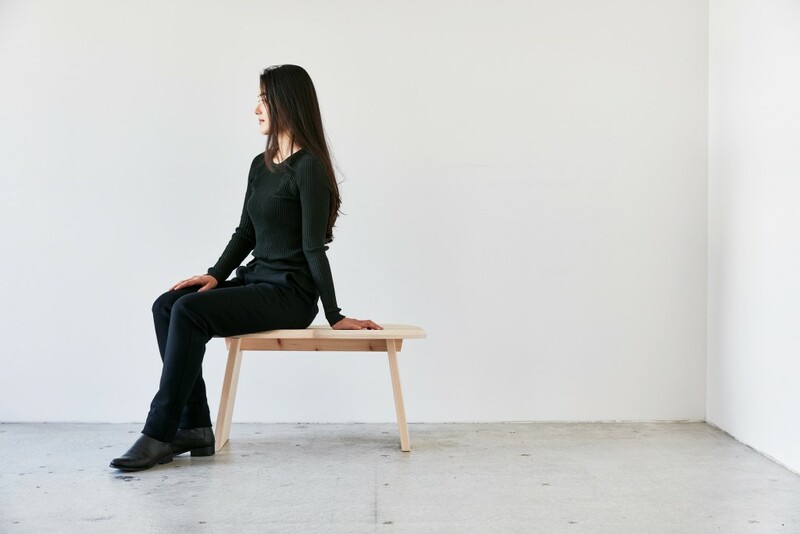 The STOOL is made in celebration of the 10th anniversary of More Trees, a Japanese non-governmental forest conservation organization founded by a renowned musician Ryuichi Sakamoto. 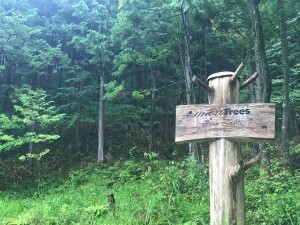 It is designed by a collaboration of prominent designers, Jasper Morrison and Wataru Kumano, with a concept “connection”, which is the keyword of More Trees’ activities. It comes in three sizes, “Single”, “Double” and “Long” and can be used in variety of scenes with ideas and arranges. 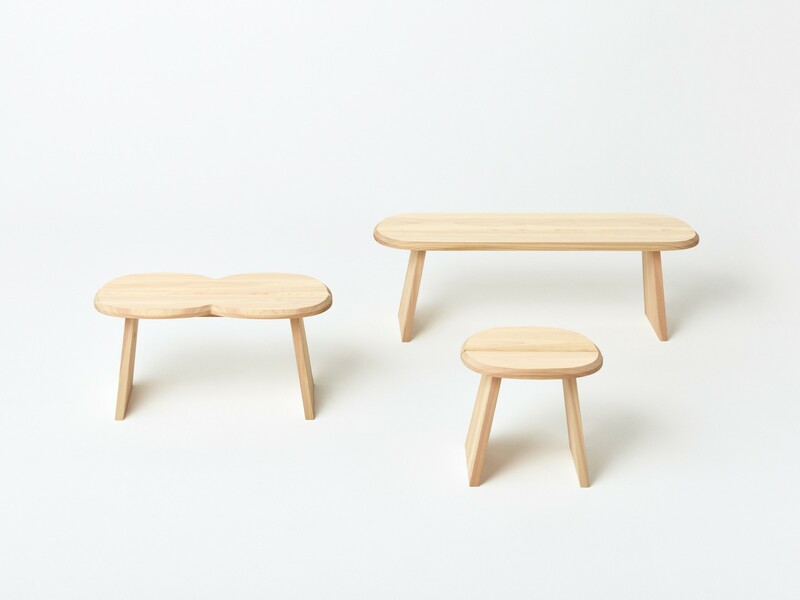 Stool is the product which embodies our vision, connects what we have been through and will go through, and also links people all over the world with forest. 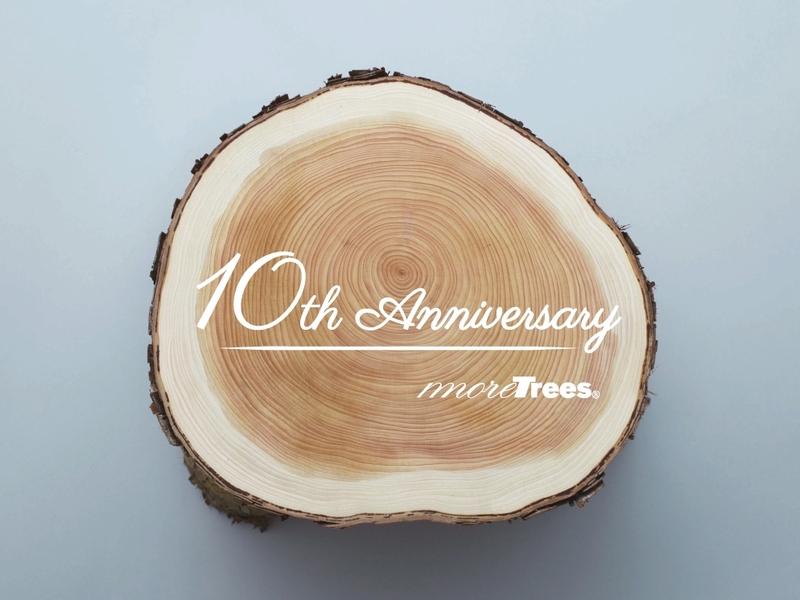 *It will be released October 20, 2017 at More Trees online store. *Part of proceeds from sales will be used for forest conservation activities. Stool For More Trees 10th anniversary year. It’s impossible to live without blessings of nature and forest. Surroundings and situations of forests are varied in countries and areas. 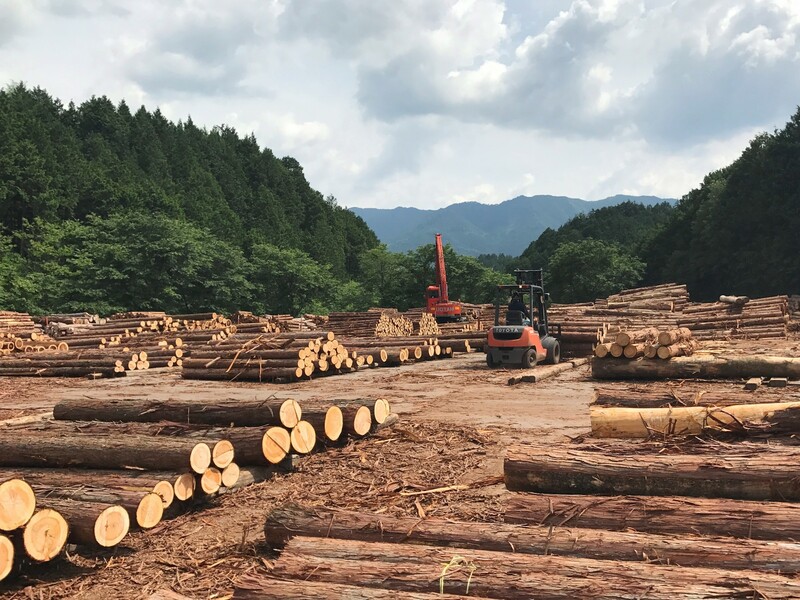 Japan is a rich forested country, and it is critical to thin woods appropriately and utilize them to keep the forests in healthy conditions. 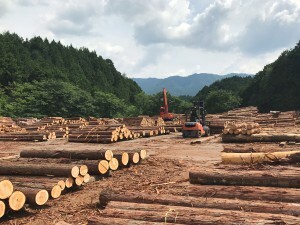 With keyword “Connect urban city and forest”, we have engaged in activities, one of which is development of product with Japanese timbers. We focus on “connection” as a concept of this product in the anniversary year. 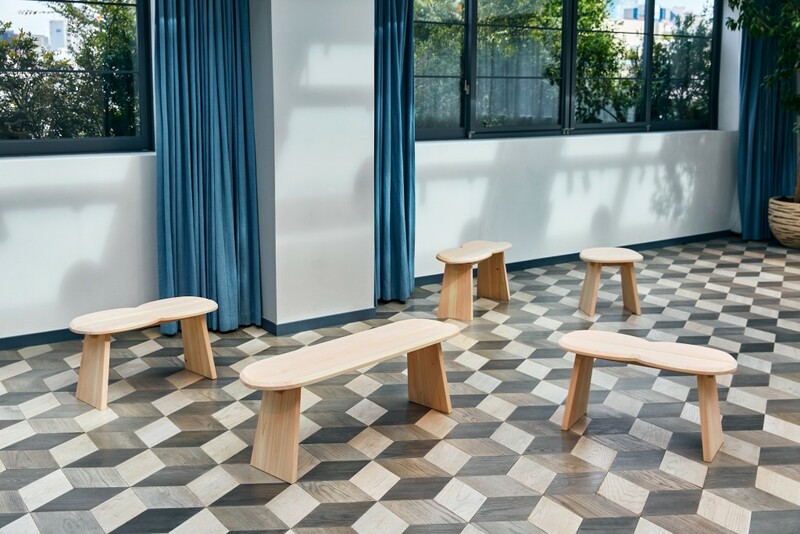 With its attractive features of Japanese timbers grown by Japanese forest, and best use of Japanese craftsmanship, Stool will fit in and accompany your life for so long and bring you an opportunity to think of forest. 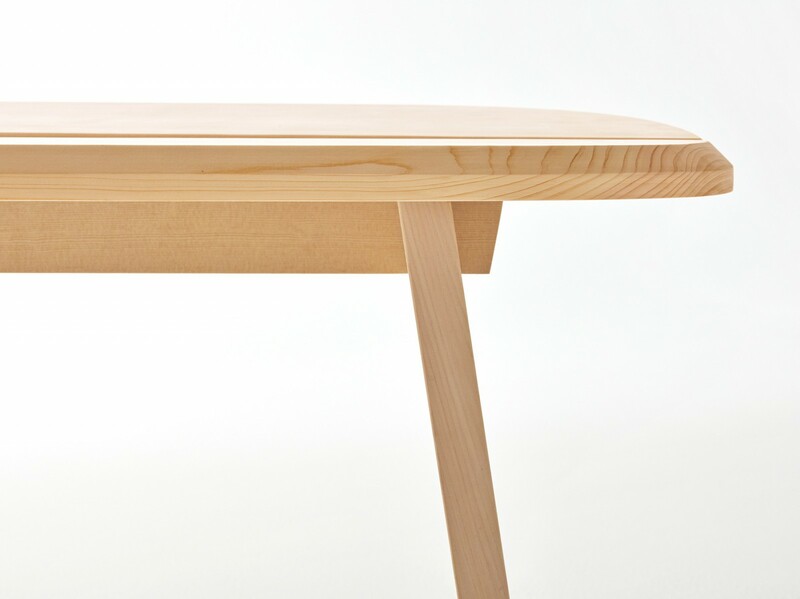 Stool is designed by two product designers, Jasper Morrison and Wataru Kumano. 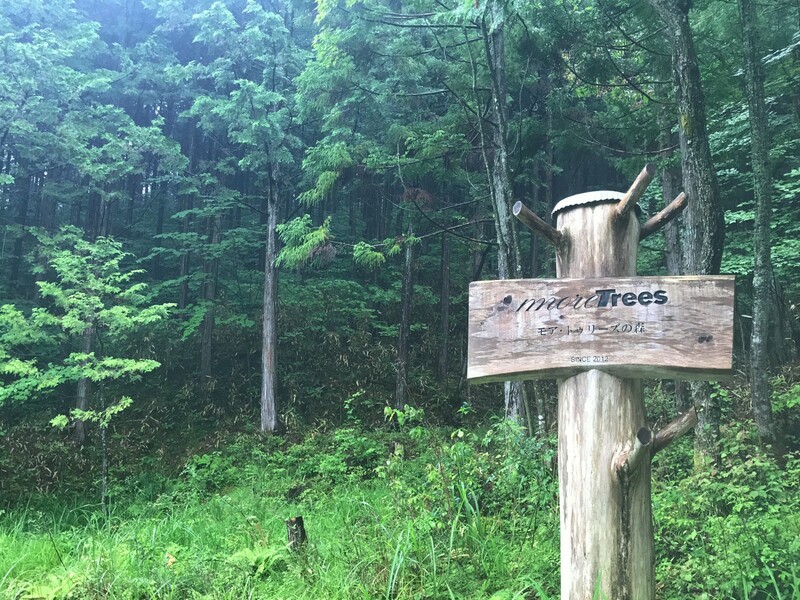 We expected our new product to be something leads the organization to the future of forests in Japan and overseas. Two are the perfect designers to embody what we want to realize. 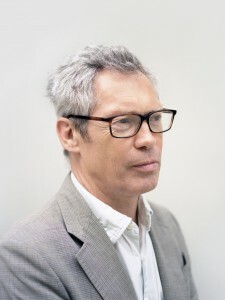 Jasper has experiences accumulated over many years, universality brought about by his principle, “Super Normal”, and global perspective based on his international projects. On the other hand, Wataru is rich in ideas as a young and spirited creator, has affinity to wood and forest gained in his stay in Finland and Japanese perspective. 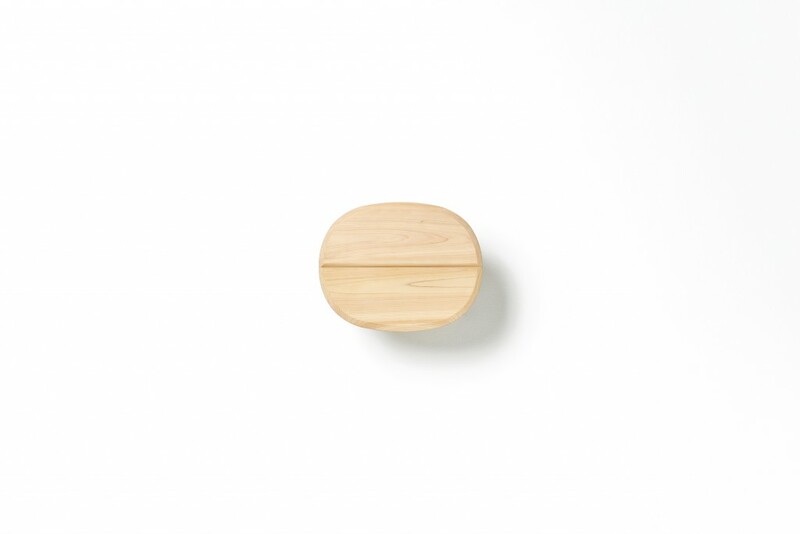 By two wonderful designers combining their unique talent and features, brand new product which is able to connect variety things, Stool, was born. Born in 1959 in London, Jasper Morison is a world renowned designer who designs widely from furniture and architecture to urban space. 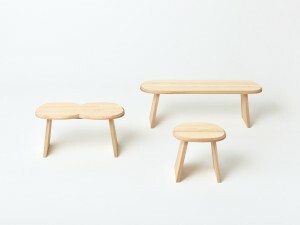 With his principle “Super Normal”, he has created a lot of simple and universal designs. 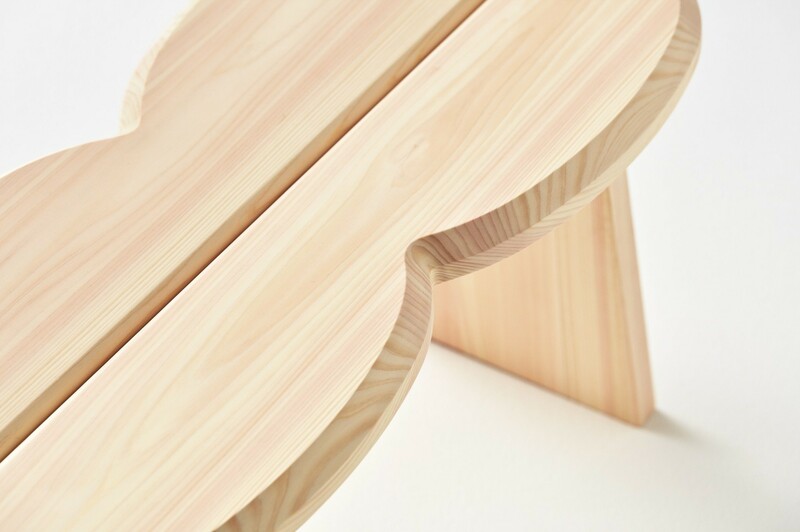 Wataru Kumano who was born in 1980 in Tokyo, learned woodworking skills and furniture designs while he studied in Finland, and was influenced by an affinity of forest blended in Finnish lifestyle. 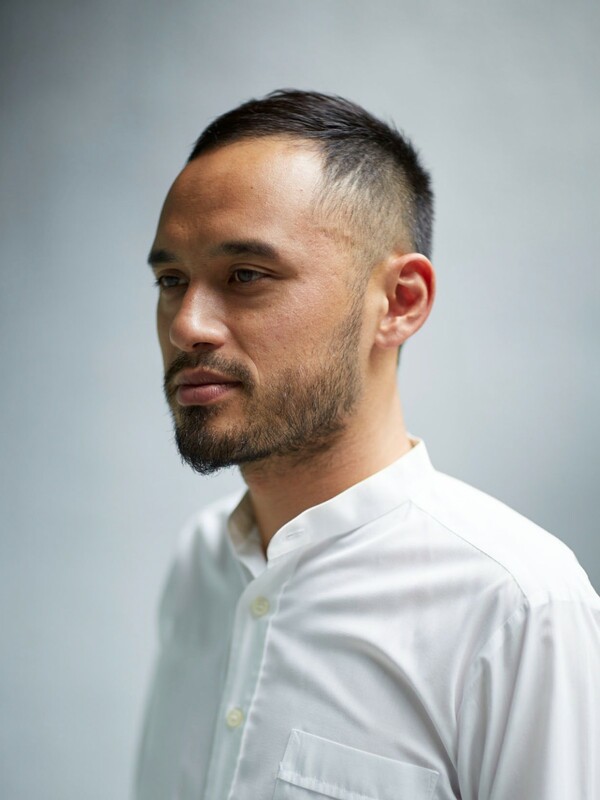 His designs bring with richness to the space. 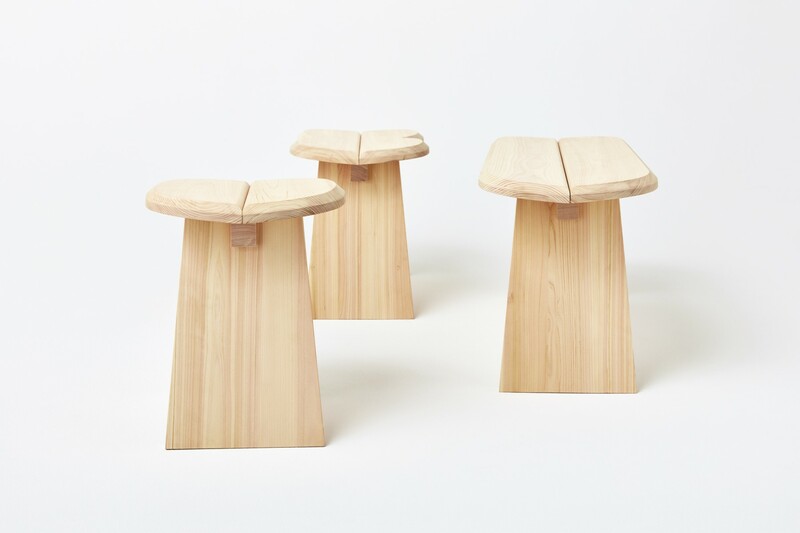 Stool is made of Hinoki from Gifu where one of the More Trees Forests is located, and made manually by local artisans in the area. Hinoki from the area is called “Tohno Hinoki” and has been used for traditional buildings such as temples for a long time. 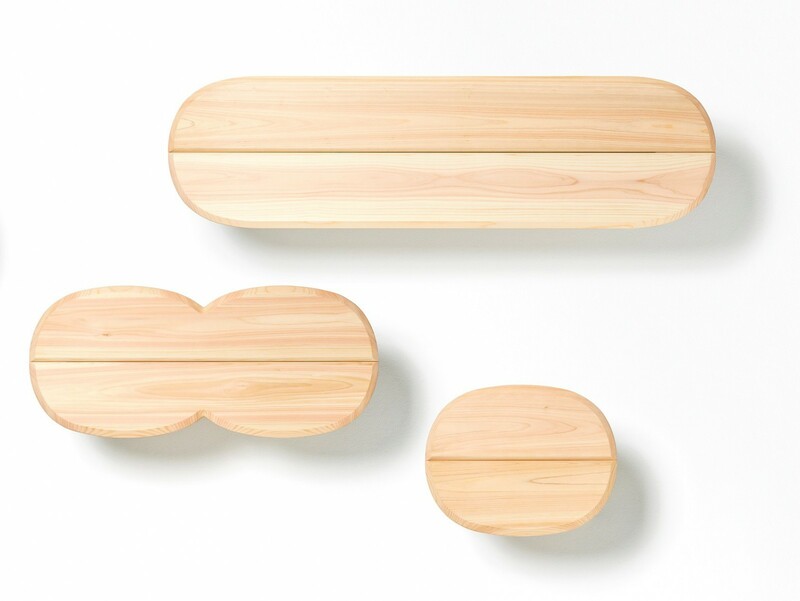 It is a representative Hinoki in Japan for having a good scent and a good strength as material. 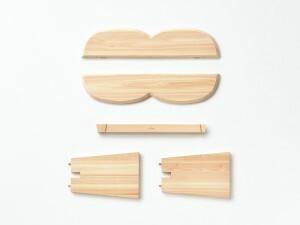 Stool is knockdown and would be completed by users assembling parts which is precisely designed and carefully produced. It is a friendly product that makes you connected not only with artisans and designers, but also with your updated life with it. 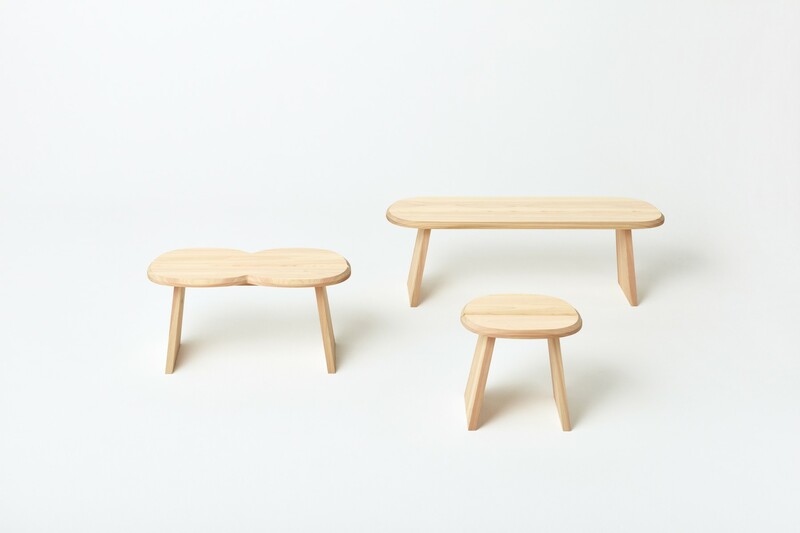 Stool comes in three sizes: Single is the simple one as 1-seater, Double is shaped as if two singles are combined, and Long is shaped as if single is stretched out. 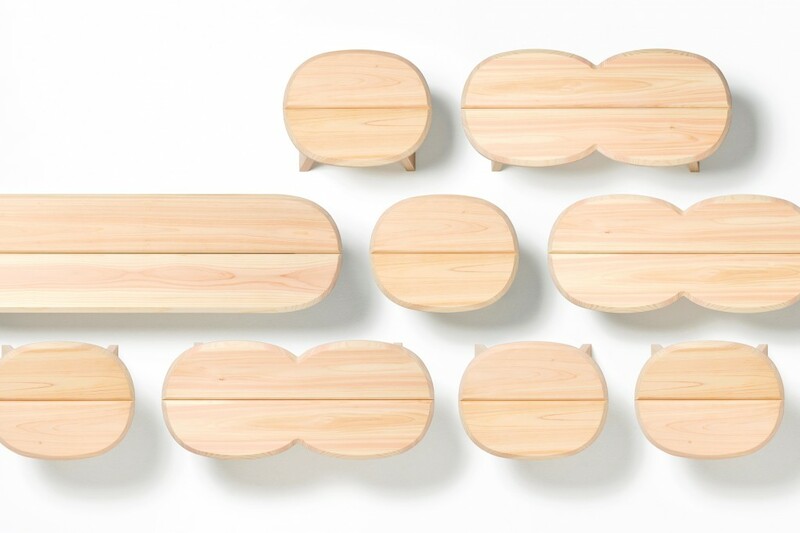 All sizes have gentle curved form made of warm touch of solid wood and bring warmth to your life. Just like music, it makes very rhythmic expression when arranging with plural. It links you and space as it fits in your lifestyle. 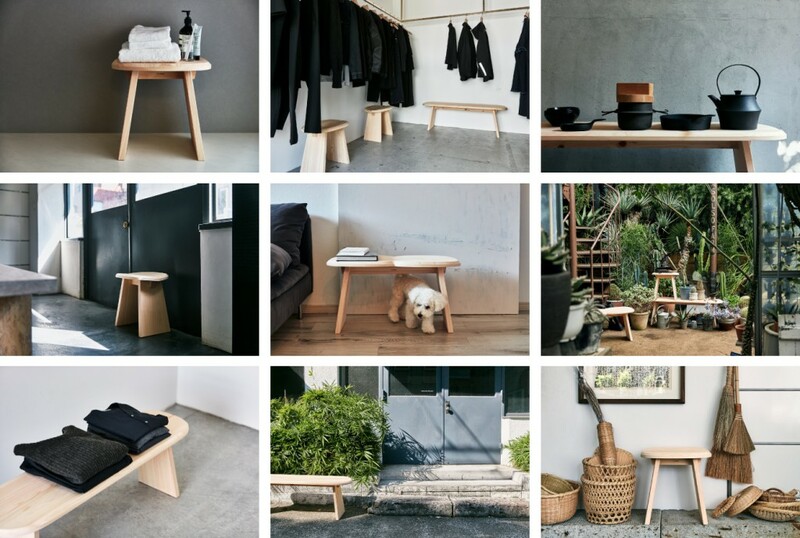 Its design is so beautifully simple that you can use it not just as a stool, but in a variety of use. You will enjoy it in your own way. It will enrich your living space and everyday life. 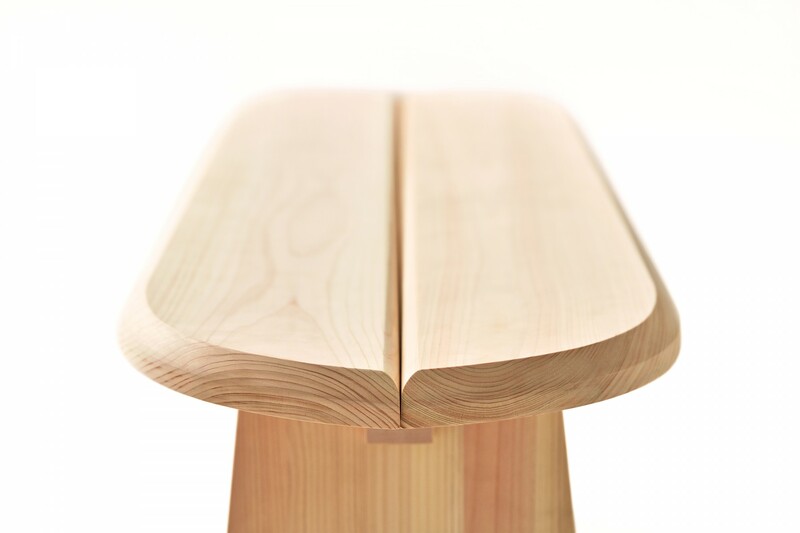 Stool is made of solid wood of Hinoki and features good scent and gentle touch. 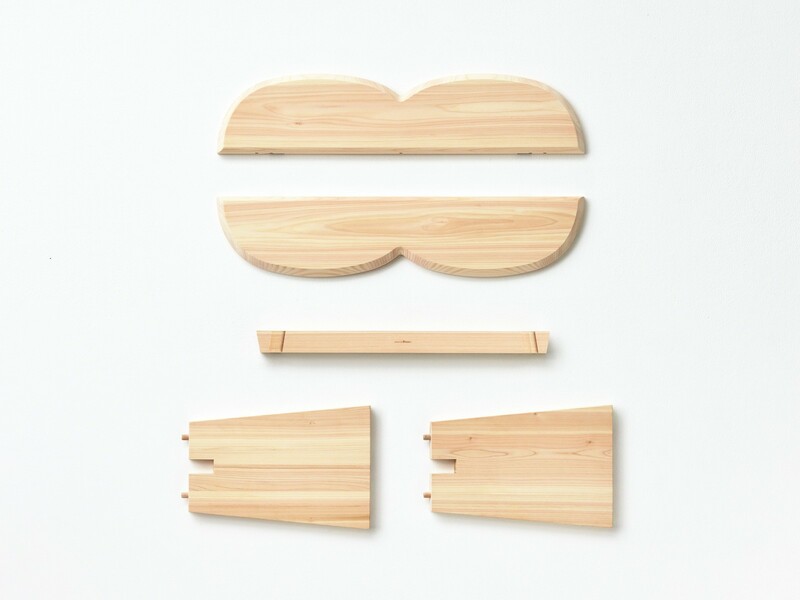 When you open a package, please enjoy the material, and complete it by assembling parts (it will take 10 to 15min). 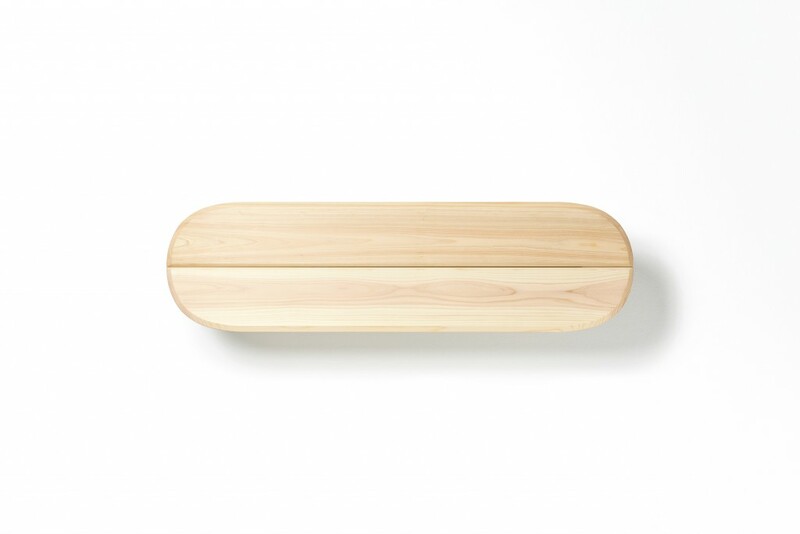 Since solid wood is living material, you will enjoy the product for a longer time by having it coated with urethane or oil based natural paint. Last touch by yourself will make Stool lasts longer and more intimate to you. 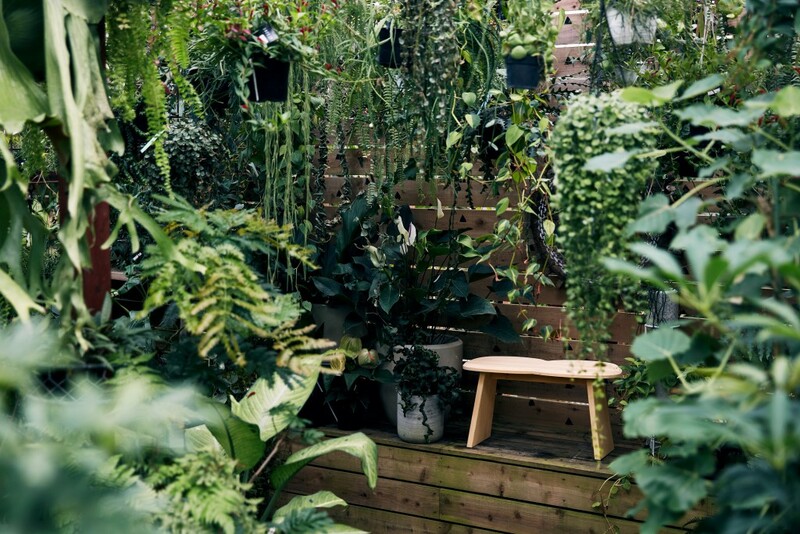 You will enjoy yours grows with aging of wood. 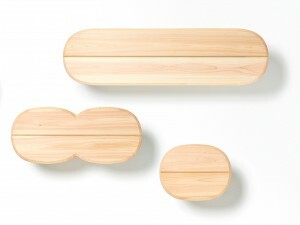 Part of proceeds from sales of the Stool will be used for forest conservation activities. 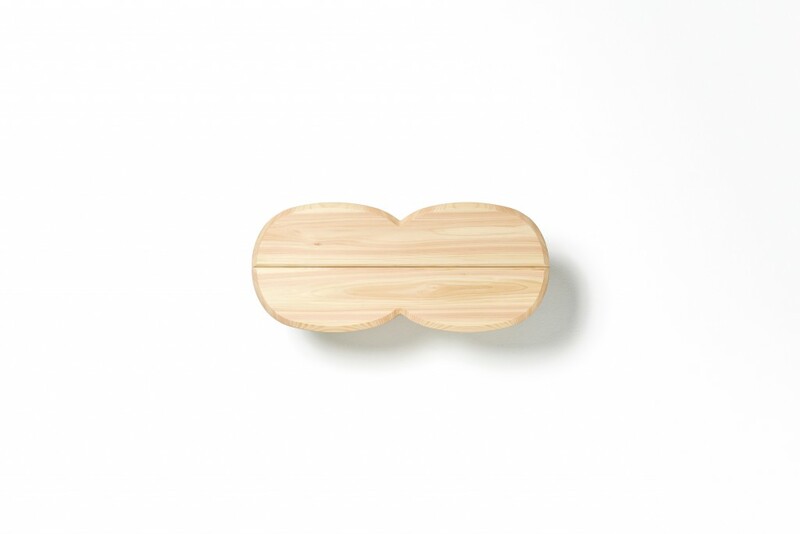 The connection brought by Stool will be linked together, become a large circle and create a circulation, that would bring about forests nurtured and it would bring us plentiful blessings of the beautiful forests.